Here are some healthy yummies! For those of you that like quick, on-the-go type of snacks, LARABAR makes tons of delicious flavors that are great for you and all-natural. With most of the bars only containing 3 or 6 ingredients, they fit right into our nutrition plan. 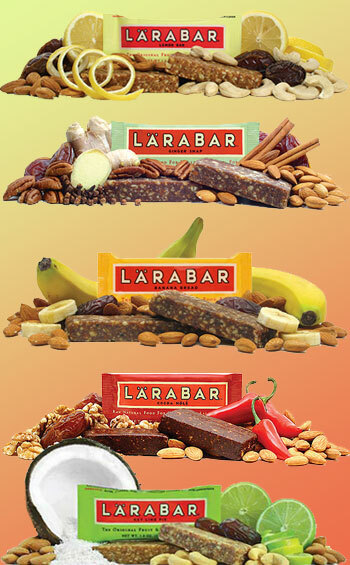 LARABARS are high in sugars so even though they maybe really yummy, make sure to consume them in moderation. I tend to keep a few in my car and gym bag for emergencies. You can get them by the pack online at http://www.larabar.com/. Costco also has them for around $16 a box, but it comes in a mixed pack.